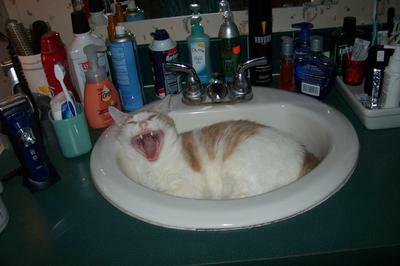 Hansel has been snoozing in the sink since he was about a year old. He also likes to have me barely turn on the cold water tap so it is a tiny drizzle on his back and he will just enjoy the water too. He is now 13 years old and keeps us in tears laughing at his antics.